Art created by prisoners from Northland Region Corrections Facility has raised more than $7000 for Women’s Refuge. The recent InsideOut7 exhibition at Mairangi Arts Centre in Auckland featured 80 artworks, including paintings, drawings and Māori carvings. The artworks were sold to the public to raise funds for Women’s Refuge. “With family violence in New Zealand in the spotlight, NRCF is grateful to the public who supported the prisoner art exhibition so generously to benefit Women’s Refuge. 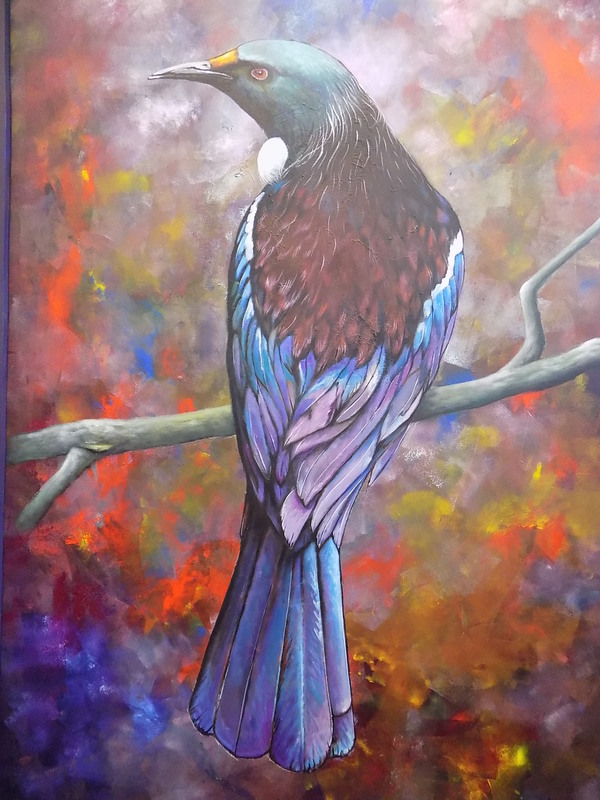 The prison artists also feel privileged to be able to give back to the community through their art,” says Dave Pattinson, Prison Director, Northland Region Corrections Facility. The highest prices were fetched by two paintings by the same artist. Te Aho o Te Rangi Wharepu, an acrylic on board, sold for $1200 while Tui fetched $1000. The display ran from 9 April to 8 May 2016, and almost 1000 people visited the art exhibition. This was the seventh annual InsideOut exhibition, and is the result of an ongoing creative collaboration between Mairangi Arts Centre and the Department of Corrections. All the works are produced through the Art in Prisons programme and represent a blend of paintings and drawings, as well as Māori carvings, produced in the whakairo workshop at NRCF. The theme of InsideOut 7 was "history". In total, $11,120 was raised at the exhibition, with more than $7000 going to Women’s Refuge and the remainder covering administrative expenses, including transport. Original generation time 1.7171 seconds. Cache Loaded in: 0.0180 seconds.